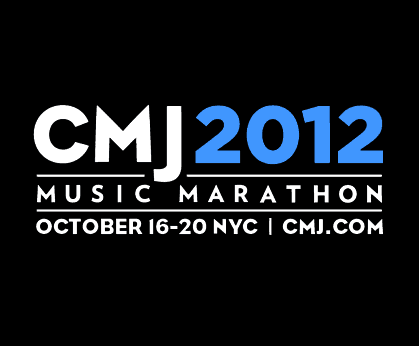 A generally daunting experience, CMJ Music Marathon hosts an extremely wide range of bands over the course of 5 days in NYC. To those who attempt to tackle this festival, the lineup can seem overwhelming. One advantage to being a 10-year CMJ veteran is that you not only know to have a strategy; you can put it all in perspective. And it’s good to have a basis for comparison, too. From year to year to year, CMJ has progressed, in both good ways and bad. While my first few years felt completely daunting, the past few have felt manageable. There weren’t so many bands that both my CMJ partner-in-crime Devorah and I were initially excited about, but that’s the thrill of CMJ: discovering new gems. Last year was all about not getting into the right shows and being frustrated with CMJ in general. We went into this year cautiously, but it ended up being much easier to gain entry to shows and all of the venues seemed a bit more relaxed (with the exception of the Ghostface Killah show in Williamsburg on the last night, in which the whole block had to be closed due to overcrowding). Below are our picks for our favorite bands, of which there were happily a large amount. Relatively new to the electronic dance scene, Teen Daze impressed me with his newest album Inner Mansions, but his more meandering, spaced out recordings in no way prepared me for the upbeat dance party live performance. Teen Daze stepped on stage and was able to immediately project a sense of intimacy and comfort onto the crowd; it felt like we were in his dorm room, and he was just goofing around on the turntables for us. He was happy to be there playing music, which was a refreshing turn from the previous band (Heavenly Beat) who looked disinterested and aloof. Teen Daze’s emphatic DJ dance moves provided some additional fun, and with these moves he held an aura of euphoria that was infectious. This was an ideal way to start out CMJ for us: in the intimate setting of a moderately crowded Mercury Lounge in New York’s Lower East Side, with everyone in attendance looking forward to seeing Louisville-based band Murals – most of us for the first time. The band’s debut LP, On a Passing Cloud, came out over the summer to a cacaphony of indie acclaim, and after numerous listens it was my estimation that the acclaim was deserved. My initial impression was that they were riffing on the recent trend of lo-fi indie pioneered by Ducktails, Real Estate, and others. Heavily influenced by ’60s psychedelic rock on their record, they sounded much more modern in person, and extremely modest as well. Their set was lively, entertaining, and all around pleasant. Equally charming was their southern drawl and wide-eyed excitement to be playing CMJ. An all around good experience. This was one of the shows that I was looking forward to the most, and Nneka did not disappoint. The Nigeria-born, Germany-bred singer rarely makes US appearances, but when she does, they are unique and beautiful. While her R&B, afro-funk influenced music speaks for itself, Nneka spoke eloquently about each song at length, giving emotional backstories and some historical notes on the history of Nigeria to boot. Everything she said (and sang) was deeply introspective and thoughtful, which felt rare in a sea of 30 minute CMJ sets. Nneka played for almost 2 hours, with a variety of songs from her discography, and she held the crowd’s attention for that entire time. She does not skirt away from heavy or sensitive topics (“Do You Love Me Now?”), and a lot of the focus was personal but also focused around her life journey from Africa, to Europe, and back to Africa (“Salt Water”). It was refreshing to see an artist who played with such thought, passion, and who commanded so much respect from an audience without asking for it. It’s pretty hard to even do her justice by describing the show; it is something that needs to be experienced in person. Nneka’s opening band, Bajah + The Dry Eye Crew, was an apt starter for the evening. An ensemble group from Sierra Leone, they had a very agreeable Afro-pop reggae sound, perfectly upbeat, with a gorgeous male-female vocal dynamic. They played a pretty short set, but it was highlighted by a fantastic cover of “Diamonds on the Soles of Her Shoes,” a nice hat tip to Paul Simon while also being political commentary. This was my final show of CMJ, and after a run of mediocre bands that night, this Portland, OR-based band was well worth the (tired) wait. Within a litany of young bands playing retro music with a ’60s rock feel, Orca Team stood out as polished and talented. Playing a range of surf rock-influenced songs from their sophomore album Restraint, Orca Team was one of my happier discoveries this year. While the songs sounded great, the band seemed a little stiff and nervous. What better way to break a band in than playing CMJ, in a small club alongside 6 other bands? I look forward to seeing Orca Team touring more, relaxing, and being at peace outside of the whirlwind that is CMJ.